Thank you for purchasing a Battlefront product. Here we will show you how to get more information on assembling, painting as well as a range of other articles. All new releases will now feature an assembly guide in the Product Spotlight; however we haven't forgotten the rest of the Flames Of War range. As you can imagine we have a massive list of around a thousand active products in our catalogue that we are working through starting with our top sellers, so it may take some time to get to some of the Cavalry platoons! 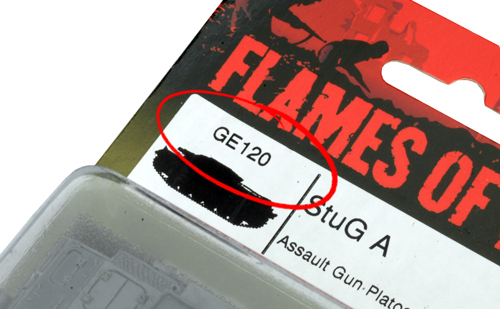 Enter the product code found on the front or rear of the blister label or box sleeve for example GE120 or UBX28 as seen in the examples below. 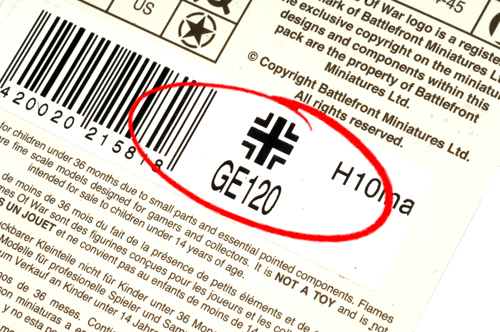 Below: An example of the product code on the front of a blister pack. Below: An example of the product code on the back of a blister pack. 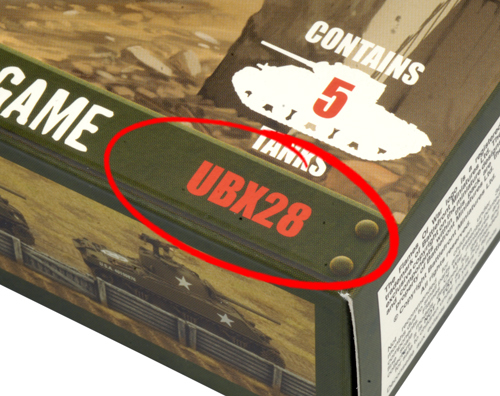 Below: An example of the product code on the front of a box sleeve. Enter the product code into the search box found in top right-hand corner of the Team Yankee website and click on the magnifying glass icon. 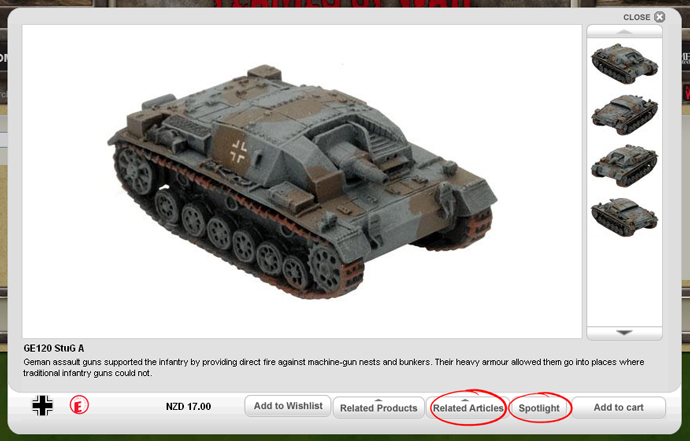 Right: The product code entered into the search box found on the Flames Of War website. Select the first search result that matches your product code. Left: The first result for the searched product code. Click on the Spotlight button to be directed to more information including an assembly guide or blister contents or click on the Related Articles button to see a list of articles that may be of interest regarding this product. Below: An example of the Spotlight and Related Articles buttons.